5 STEPS TO FIND A CARE HOME - A guide to help you choose a home. Having to find a care home for you or a loved one is one of the most important things you will do and getting this right is key to a comfortable life in your later years. At UK Care guide, we have set out, below, in detail, the 5 steps that you need to go through to find a care home that is perfect for you or a loved one. We have also produced a help 2 minute video that guides you through the key 5 steps to finding a care home. You can use our care home search facility to look for homes in your local area when you are a choosing a care home. When you set of on the journey of how to choose a care home, the first thing you need to do is decide what kind of care home you need. Residential care is designed for those that need round the clock care, whilst providing any practical, emotional and personal support. Residential care often allows residents to maintain their independence whilst giving them the necessary support with day to day tasks such as eating, washing, house-keeping and bathing. Some residential care homes have a qualified nurse onsite 24 hours a day, seven days a week. Typically, 24 hour nursing care is required where a resident has an illness or a physical disability. This might also include those that have longer term medical conditions and those who need rehabilitation support. 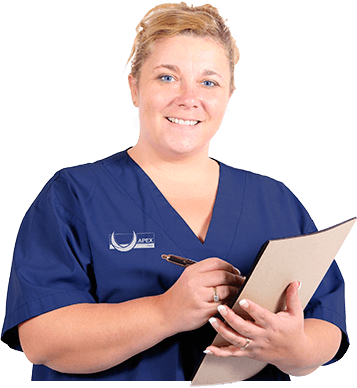 The biggest difference between a residential care home and a residential care home with 24 hour specialist nursing care is that you will find more staff in a home with nursing care. This is because the residents require more regular support with their daily tasks and will often have more complex needs. Most residential care homes now offer dementia care support. Dementia is a broad term that covers a range of illnesses that impact the brain. The most common of this is Alzheimer’s. Therefore, dementia is an illness that needs to be treated by specialist carers who are able to recognise that dementia impacts people in different ways. Respite care means that someone moves in to a care home for a defined period of time. This is often used if the carer needs a break, if the person is recovering from an illness or specialist care is needed. If you move in to a care home this can be for a period of days, weeks or a few months. Intermediate care is designed to offer an alternative to hospital stays with an aim to help individuals not becoming reliant on, or needing, long-term care. Some care homes provide support in specialist care areas. This would typical include those with physical and learning disabilities, mental health concerns and addiction problems, such as alcohol or drug. Palliative care or end of life care provides support for those who are usually within 12 months of death. The care helps the person to be as comfortable as is possible and to die with dignity. Palliative care will try and make you as comfortable as possible by trying to manage any pain, discomfort or distressing symptoms. Palliative care will also provide emotional, spiritual and psychological support to family and carers. Once you have identified the type of care that you need, the next step is to identify a suitable location for the care home. When short-listing your care homes, think about what you want from the home and see if the short listed care home provides those facilities. You can visit the page of the short-listed care homes of this website and use that to do your initial research. To help you, we have split the key things to think about in to 4 areas. Each of the care homes that have an enhanced listing on this website have answered the questions relating to care home, communal and room facilities so this should help you narrow down and short-list the right care home for you. The regular who is responsible for monitoring and inspecting organisations that provide care services is called the Care Quality Commission (CQC). All care providers will have been registered and been inspected by the Care Quality Commission. “We make sure that hospitals, care homes, dental and general practices and other care services in England provide people with safe, effective and high-quality care, and we encourage them to improve”. You can go on to the Care Quality Commission website http://www.cqc.org.uk/ and search for the latest independent inspection report for your short-listed care home. It is important that you do this when you are choosing a care home. Here is also a video that tells you more about what the Care Quality Commission do. Once you have identified the short-listed care homes that you visit it is really important that you pay them a visit. Whilst the care home will always try and make a great impression when you visit it is important that you look around and make sure you ask a range of questions. Hopefully you will find all the facilities that were listed on by the care home provider on this site. However, to help you we have listed the following questions to ask or the issues for you to observe. Did the manager meet you and were they open when responding to questions. Is the bedroom easily accessible? If the room is on an upper floor, is their access to a stairlift? This is often a difficult area, as you and your loved one’s begin to understand the cost impact of moving in your chosen care home. When you are finding a care home, it is essential that you understand what financial help is available to you, and what you will be required to pay when you are looking to find a care home of your choice. You can use our care home fees calculator to estimate what your care home fees will be. You will find that the costs often differ depending on where you live. You can access the calculator here. NHS Continuing Healthcare Funding – Here we set out whether you may entitled to the NHS meeting the costs of your care, and in particular if you choose a home of your choice. Claiming State Benefits – Make sure you claim all the benefits that you are entitled to, as there will e an assumption you are in receipt of what you are entitled to when assessment of your financial affairs is made. How much will you need to spend on your care fees – We have produced a handy care fees calculator to help you estimate the costs of moving in to a care home in your local area. When you begin the process to choose a care home, you will start to see that the costs can range from £400 to over £1,500 per week. How you can meet your care fees – There are 6 primary ways in which you can pay the fees of your chosen your care home. We have set the pros and cons out and when it comes to choose a home, you can decide which of the payment options will work best for you. Equity release is increasingly a popular way to take cash out of your house TAX-FREE to pay for care and to spend some money on yourself. We strongly recommend that you speak to an advisor that specialises in different ways to fund your care fees. Care Home costs can easily be more than £100,000. A shock for many. It's essential you speak to a care fees advisor to find the best way to pay. Click here to find a an advisor local to you.